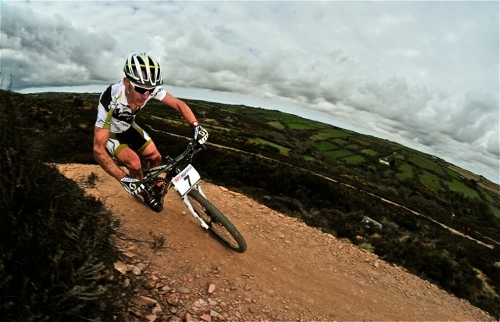 For 2013, we have continued to fuel the Scott UK Team; one of the UK’s premier Mountain Bike Teams (alongside our own TORQ Performance MTB Team, of course!). 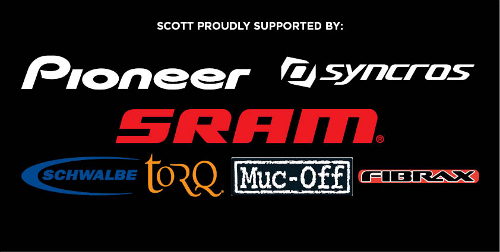 For this year, the team incorporates both an XC and newly formed Scott Syncros Gravity Enduro Team, which have been causing quite a storm on the UK race circuit. 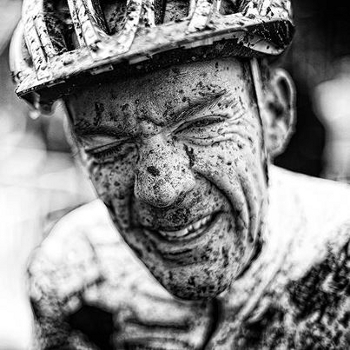 The line up includes MTB Legend Nick Craig; a rider still at the sharp end of the UK Elite category in his veteran years, along with rising star and son to Nick, Thomas Craig, in the youth category. Scottish Cycling development junior rider, Stuart Wilcox, rounds out the male line up for XC. 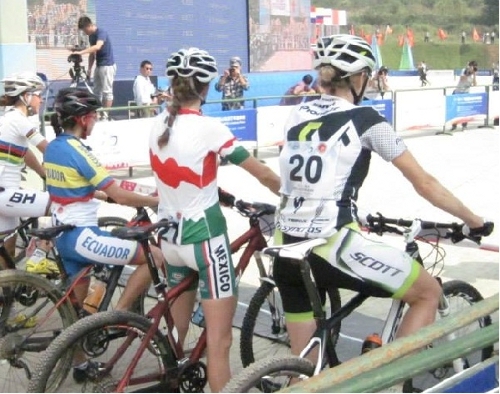 Scott also support a number of female riders under the Scott Contessa banner including top elite riders Rebecca Preece, Melanie Alexander, Masters rider Caroline Goward and Vet Nicki Hughes. 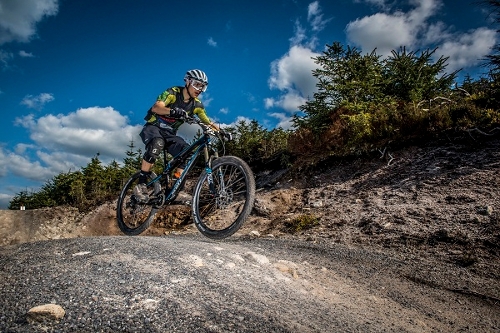 The gravity Enduro Team consists of elite riders Helen Gaskell; a former professional downhiller who has turned to Gravity Enduro, and Callum Dew; another elite enduro rider who has made the transition across from racing expert as a downhiller. So far this season the team have attended a number of events and had some great results too, almost too many to summarise in this report. Click the links below each image for the full story from each race. 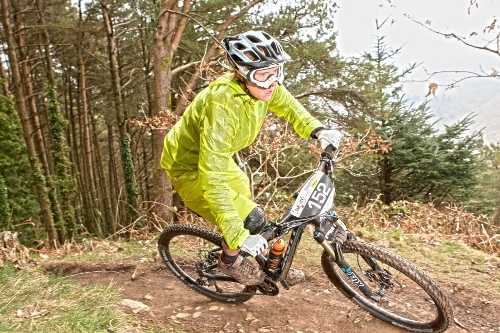 Afan UK Gravity Enduro, the debut outing for the team on a physically challenging and muddy course. Full race report here. Cal Dew on his way to 15th Elite up against a world class field. Helen Gaskell storming to 2nd place elite female behind former world downhill champion Tracey Mosley. 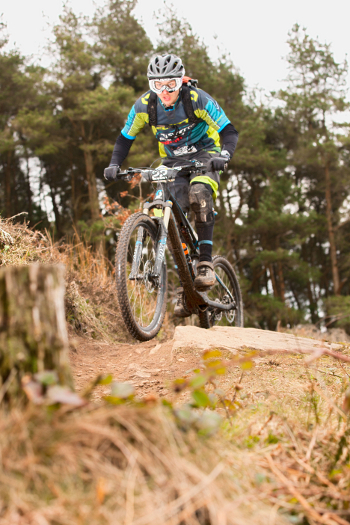 British XC Series Round 1, Sherwood Pines. 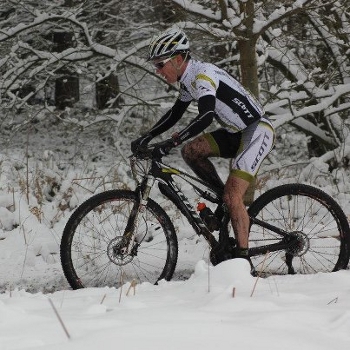 The full XC team get the season underway on a course covered in deep snow drifts, Nick’s picture below paints a picture of just how tough conditions were. Full story here. Cornwall British XC Series, Schwalbe Marathon Builth Wells and Innerleithen UK Gravity Enduro R2, a busy few weeks for the team!Next up was Round 2 of the British XC Series in Cornwall, the Schwalbe Marathon Series at Builth Wells and Innerleithen UK Gravity Enduro R2, a busy few weeks for the team! Full report here. 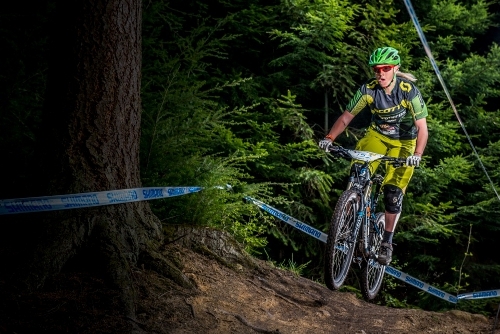 UK Gravity Enduro Series, Round 3, Hamsterley. Enduro racing in the sun. Full report here. 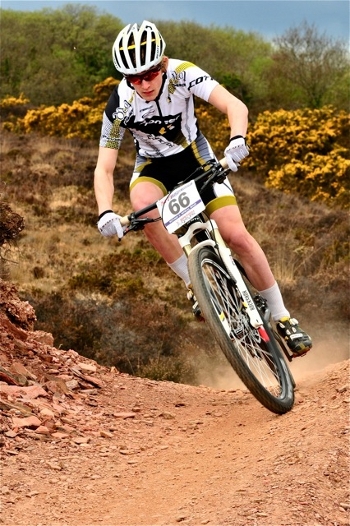 Helen Gaskell on her way to 2nd place elite.